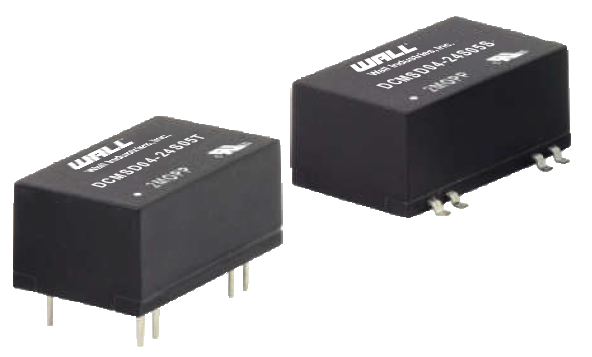 The new DCSMD04 series of DC/DC converters from Wall Industries offers up to 3.5 watts of output power in either a surface mount or through hole package. This series, suitable for medical applications, offers low leakage current, 500VAC reinforced insulation, as well as remote on/off. Models have 2:1 input voltage range, can be single or dual output, and meet 2xMOPP. The DCMSD04 series has IEC/EN/ANSI/AAMI ES 60601-1 and IEC/EN/UL 60950-1, 62368-1 safety approvals. For complete series information, see the DCMSD04 series page. See more medical power sources on our Medical page.